There are so many DIY articles online that suggest using bleach to clean bathroom tiles. But what if you do not have bleach at home? Mix baking soda with water and apply it on tiles. Leave it overnight. Next day, dip a toothbrush in liquid laundry detergent and start scrubbing the tiles. You can use a scouring sponge if you like, but the brush helps you to reach the corners and the space between the tiles easily. I tried cleaning a portion of the tiles with laundry detergent without soaking them with baking soda. I found it equally effective but baking soda helped to lift up the scum, making the process less time consuming. 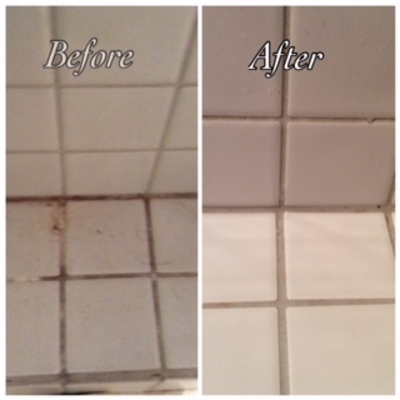 Whichever method you choose to use, the end result should be spotless clean tiles in less than 20 minutes. Do you know anyone who has Alzheimer's? Have you ever lost your debit or credit card ?